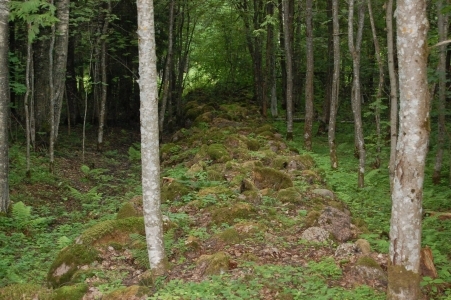 The State Forest Managment Centre in Estonia took part in an extensive Estonian-Latvian co-operation project, funded by the European Regional Development Fund, to draw attention to the forgotten cultural heritage objects of recent centuries. I conducted this project in the municipality of Alatskivi (Tartu county, southern Estonia). Creating an inventory of these cultural heritage objects started in 2010. The first step was to pass training, after which I published an introductory article in the local community newspaper, asking the people to let me know if they have information on such objects. Next I collected material on possible heritage places from museums, archives, historical maps, old newspapers and libraries – these places were later visited and placed in the landscape. Interviews with local people were of great help; some stated that this kind of project should have been done much earlier, because many of the people who possessed relevant information had died. Some people had so much interesting information that they were visited a number of times. All the objects discovered in the course of archive work and interviews were marked on a predictive map and during fieldwork all of them were located, photographed and described. In course of the fieldwork I „stumbled upon“ many objects I did not know of before, I had complementary conversations with many people, and received information about new objects to locate. Later I gave an overview of my work in the local newspaper and after that I got even more information on objects important to the local people. After creating an inventory of all the objects, I wrote a thorough review about my work in the community newspaper and had an event in the Alatskivi castle to speak about my work. There have been many ways to introduce this work to the people. Firstly, in 2011 a book about the recent heritage of Tartu county was published by the State Forest Management Centre, and four most interesting objects from Alatskivi municipality were presented there. Secondly, in 2011 there were two hiking tours for the local people to introduce the objects. Thirdly, in 2011 and 2012 information tabs were installed next to most interesting objects. Fourthly, in 2012 I led a 4-day hiking tour for the young people of the municipality. During this walk, they photographed the visited objects and later had a photo exhibition. Last but not least, the work was introduced in an event called „Race for Heritage“ (Pärandiralli), which was part of the Cultural Heritage Year in Estonia. Here is the link to the map and database as provided by the Estonian Land board http://xgis.maaamet.ee/xGIS/XGis?app_id=UU218&user_id=at&bbox=677519.75431348,6498194.91183659,685539.026610117,6502853.04929489&LANG=2 Select one of the red things on the map and click on the Information button and you get an idea. Each object also has a description or a story linked to it; this is however only in Estonian. This sounds like very interesting work! I'd be curious to know what were some of the more surprising findings you made? Thank you for sharing this beautiful project. This is something that should be done in every corner of the world to protect this important heritage and knowledge from oblivion. I am aware that there are each time more projects and initiatives dealing with this and I wonder if it would be possible to create a unified European data base with all this information. Sometimes I fear that these important efforts end up being filed away in a drawer instead of being enhanced in future projects that could continue the started work. Though I do not think this is the case of the inventory of heritage objects in Alatskivi thanks to the many ways to introduce this work to the local people you have mentioned.